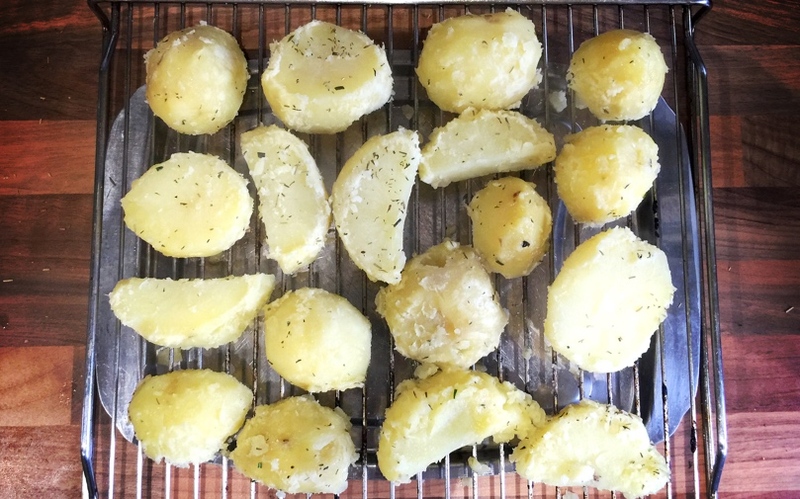 There follows my method for roasting the perfect potatoes, while at the same time reducing the fat needed. Keeping the potato a healthy treat. First, peel and cut up the spuds. Boil in water until nearly “too far gone”. Then pour out the water and return to the pan with herbs, salt and a dash or olive oil. Just a dash! Next, take out the grill tray and place each spud onto the tray carefully. Par-boiled and ready to go in. Once done add the entire tray to the top wire tray in the oven. Effectively slotting one on top of the other. I do this with 30/40 minutes left on the clock for the main roast. Temp should be about 170 or lower. Now, once the meat roast completes, take out the meat and turn up the spuds to 230+ for 15/20 minutes. Use that time to complete the rest of the dishes; veg, carve, gravy, etc. 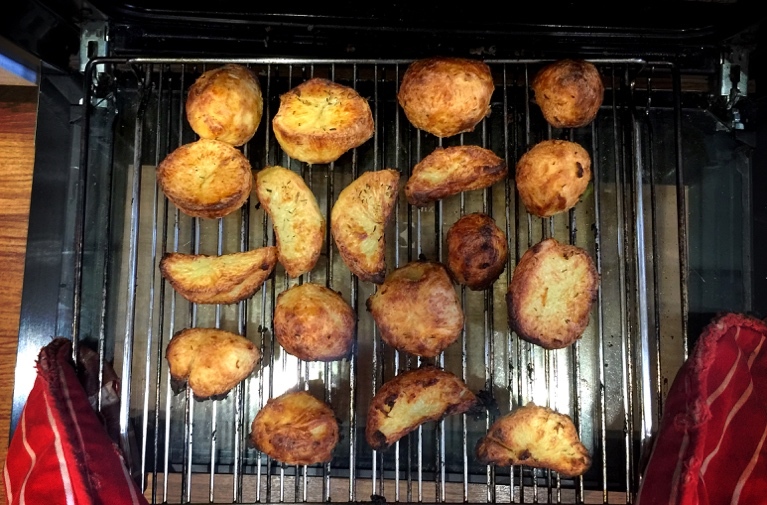 The final result are crispy, 360 degree air cooked potatoes with beautiful fluffy insides and a lovely herb infused taste. All without a fat duck in sight!